Driving through the colorful tree canopy of Mammoth Cave national Park I failed to listen to my GPS that kept saying soon you will board ferry. Until I hit a small river and there was a 40 foot flat barge. The ferry man waved me on then drove me across the river. 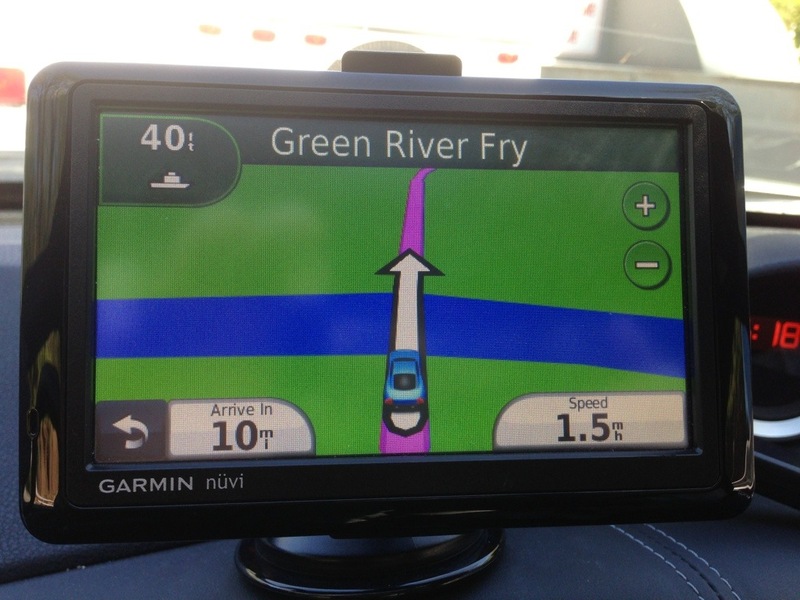 Not only did I not pay attention to my GPS about there being a ferry, I had no idea what the name of the river was even though my GPS had the words “Green River” spelled out in front of me. One more night of motel and tomorrow I start some camping. As the name of the park suggests there are some huge caves and it is the largest cave system in the United States. Weather will be in the 70s and sunny the next couple of days so looking forward to good hiking and sleeping dry. I am really hoping I can find a stove top espresso maker in Cave City tomorrow or I’ll have to buy Folgers coffee bags at the Exxon. Or Nescafé instant coffee! To see how stupid I am, I called it a state park and it’s a national park, watch me by clicking here. I have to say i have a fondness for nescafe from many years ago drinking it in Greece when i was still a yout, tough luck on tourism for now, but not the worst back up plan ever. Maxine aka Walt which shows up as Sarah, cagey on the internet I am not. Sure, tell me where you think our topics overlap and I’ll let you know if I could provide anything.